This statistic shows a list of the top election campaign donors supporting Barack Obama for the 2012 election. 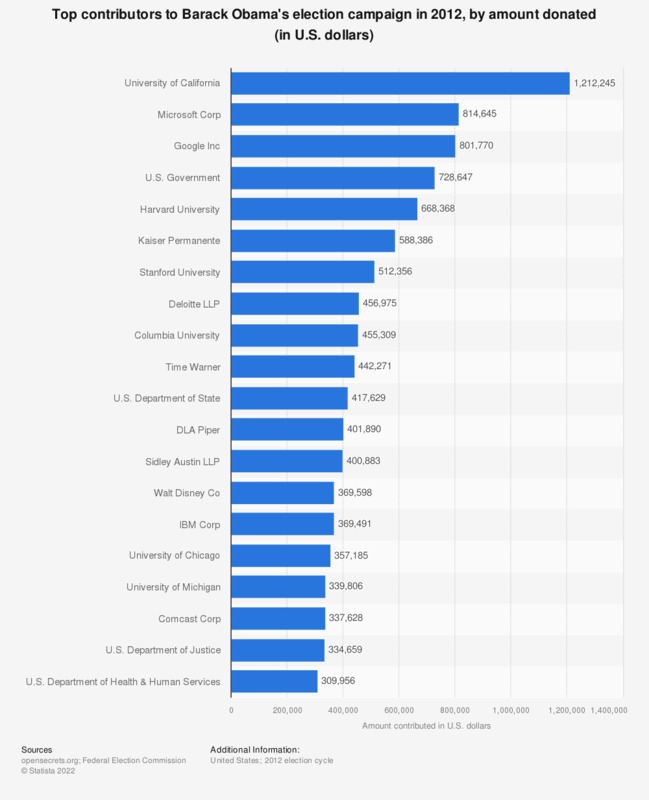 The University of California topped the list as the most significant donor to the Obama campagin with a contribution of about 1.2 million U.S. dollars. Microsoft Corp came in at second place next with donations of 814,645 U.S. dollars.